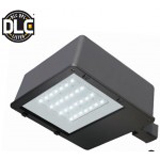 The SLF series 3,375 lumen led flood light is an excellent choice for a wide variety of applications that require accent or security lighting. Each unit comes equipped with a tempered glass and electronic driver. They have a minimum operating temperature of -30°F with instant start up. These units are a great energy efficient alternative to traditional 100 watt hid systems; and are also great for new construction. All of our LED flood light fixtures are manufactured and tested in Mendenhall, Mississippi and will come with a 5 year manufacturer’s warranty. 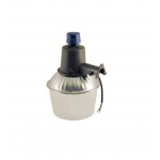 1/2” NPS aluminum die-cast swivel arm fits to standard junction box. Side bolt at arm knuckles allows for optics aiming. 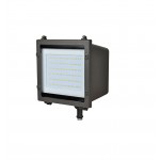 All of our LED flood light fixtures are manufactured and tested in Mendenhall, Mississippi and will come with a 5 year manufacturer's warranty.